Meet Abigail at Turpentine Creek Wildlife Refuge! Turpentine Creek Wildlife Refuge in Eureka Springs is celebrating 25 years of saving cats lives. Of the many big cat refuges in the United States, TCWR is one of the largest facilities of its kind open to the public anywhere in the world. Big Cats have been rescued from many states across the country and are provided a home in a caring and nurturing environment. Their 25th anniversary on Sunday, April 23, 2017. Join the TCWR team, current interns, past interns, and many individuals who have made the last 25-years possible. Celebrate all of the accomplishments made over the last 25 years and see the amazing animals that have been saved through our mission and dedication. Tickets for the 25th anniversary party cost $50 and will need to be purchased by Friday, April 14, 2017, if you wish to attend the event. The event will include entry into the refuge for the day, breakfast, a commemorative T-shirt, a habitat opening, the intern Olympic Games and more! Don’t let the name fool you, this bobcat is named Tiger! If you cannot make the event, don’t worry! Turpentine Creek Wildlife Refuge is open to visitors year-round. Lions, and tigers, and bears (and more!) are housed in natural habitats where visitors are as close as ten feet away from these magnificent creatures. Each animal has its story/history plaque on the front of its cage for this self-guided tour, with visitors taking as long as they like to enjoy ‘meeting’ them. Don’t miss the Habitat Tours, Education Station and Keeper talks! These are sure to make your next vacation fun and informative. Tickets are available online. Bam Bam the Grizzly Bear knows how to chill. If you are feeling adventurous, Turpentine Creek also offers camping and RV sites in addition to TreeHouse Lodging and Safari-style tents and lodges. You can wake up to the ROAR of big cats! 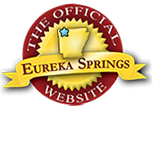 This entry was posted on April 6, 2017 by service424 in Attractions, Family Fun, Things to Do and tagged anniversary, Attractions, cats, Eureka Springs, TCWR, turpentine, turpentine creek, Turpentine Creek Wildlife Refuge.